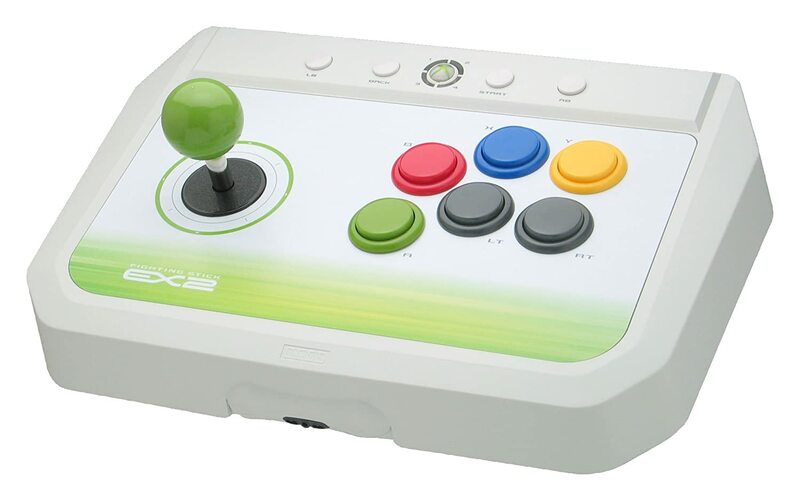 The Hori EX2 can be modified to use Sanwa parts. The stick can be unscrewed apart from the bottom, and the buttons snapped out. Once the buttons are snapped out, take a dremel and trim the metal tabs on the button mounting plate. Then, with a knife or a dremel, trim the plastic tabs on your Sanwa buttons if you are using snap-ins. The joystick itself can be heavily modified to fit the case OR you can modify the case to fit the joystick. Modifying the case is much easier since you are cutting out chunks of plastic from the case, then drilling 4 mounting holes into the metal plate, turning it into a mounting plate. Modifying the JLF joystick, however, involves a lot more work in trimming the actuator, the octo or square gate and the bottom plate, as there isn't enough clearance for the joystick to move without grinding the bottom plate. NOTE: Iluvrice grinds the bottom of his Wii joystick, however Jessejames does not. This because the Wii version is slightly shorter.